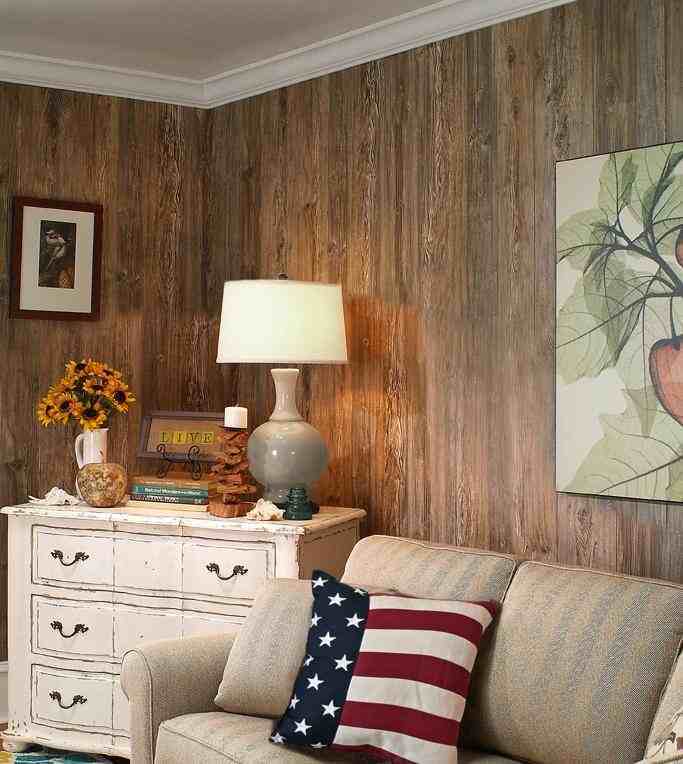 Our plywood paneling can be used as a decorative wall covering practically anywhere in homes, offices, workshops, recreation rooms, enclosed breezeways or porches, basements, attics and even MAN CAVES. 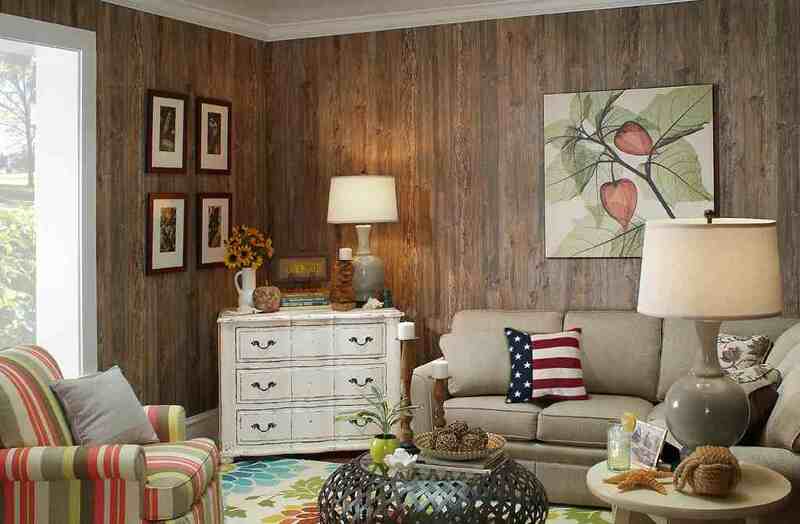 It is thought that wood paneling was originally developed to make rooms more comfortable, in that the wood panels served to insulate the interior from the cold rock walls of ancient buildings. 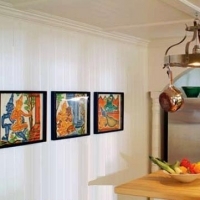 Eventually, paneling became used for more decorative purposes and today is used from floor to ceiling, or as wainscoting, which typically covers the bottom one third of a wall. 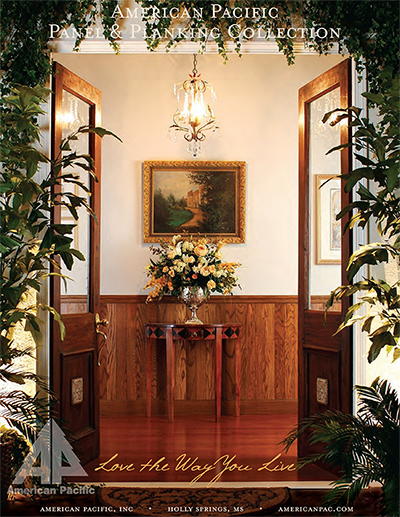 For the last several years, taller wainscoting covering up to two-thirds of a wall has become a common practice. 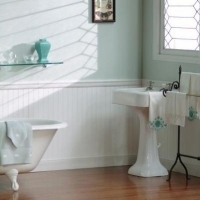 Wainscoting is typically capped on top with a simple or ornate wood trim strip, with what has become known as a chair rail. 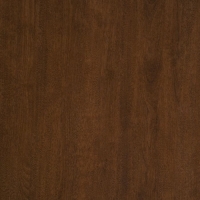 Our plywood panels are available in unfinished genuine wood veneers and laminates, most in a variety of thicknesses to accommodate your varying needs, and we have a multitude of wood veneers, and wood grain and decorative pattern laminates from which to choose. 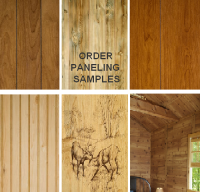 We have a host of rustic and weathered wood motifs, to nature and hunting scenes, and contemporary and modern paneling, with random groove, beadboard patterns, or no grooves at all, in our library paneling. 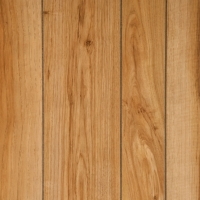 Our unfinished paneling has a top layer of genuine wood veneer, ready to accept your paint or stain finish. Our laminate panels require no further finishing and wipe clean with cloth dampened with non-abrasive detergent, then wiped dry. Note: you'll see our minimums and our pricing posted on each page. 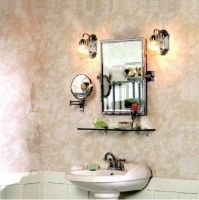 Pricing is based upon the quantity of panels you are buying, and you may mix different panel styles. If you need help, phone our sales staff! Paneling orders are protected and strapped to a pallet for safe transit. Most paneling is IN STOCK and ships immediately. Free Shipping!